With more than double the storage capacity of the original model, the Uber Appliance ub-xl1 uber chill 12 can retro personal mini fridge is designed for those whose snacking. Store up to 12 cans or six water bottles, as well as snacks and other necessities at arm’s reach on a desk, bedside, or even in your car with the adapter. The uber chill XL can also warm items up to 135 degrees Fahrenheit, keeping your lunch warm until break time or baby’s milk warm for feeding time. The sleek, retro design looks great displayed on countertops, by the office coffee machine or on your desk. Fits up to 12 cans or 6 bottles of water. Choose from available color options. Cools up to 32 degrees f below ambient temperature and warms up to 135 degrees f. Home and car power cords included. Low-noise fan, removable shelf, and locking hinge. WHY NOT LIVE LIKE A STAR? You deserve it! Hang a “do not disturb sign on your door”, and silence the world outside. From bath to bed time this is the only Tray you need. Expands up to 42.5″ to fit any size tub and with height adjustable foldable legs transforms easily to a bed tray for the ultimate comfort. Includes 2 removable side trays. Official British & Irish Lions Rugby Fleece Lined Beanie Hat. This is the new mens British & Irish Lions beanie hat for the 2016-2017 season, which is manufactured by Canterbury. This British & Irish Lions acrylic fleece beanie is an ideal way to show your support for the boys whilst keeping warm. Includes the embroidered logos of all 4 unions. From Advantage Sports, which is run by ruggers. Rugby is our passion. We started the company in 1998 to provide quality rugby gear at reasonable prices and that is still our goal. I WANT TO BELIEVE poster from the television show The X Files. 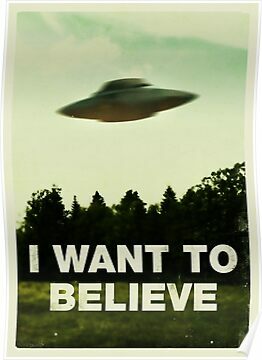 Within the world of the show, the origin story of the “I Want to Believe” poster is that Mulder bought it from a head shop on M Street in Washington, D.C. The poster is ever present in the pitiful basement office to which the supernaturally focused X-Files are assigned. It makes its first appearance in the pilot, and lasts the whole nine seasons. The poster also appears in the 1998 X-Files movie, Fight the Future, as well as the horrendous abomination that was the 2008 movie, cruelly also titled I Want to Believe. I want to believe that this movie was never made. But there’s no need to talk about that.